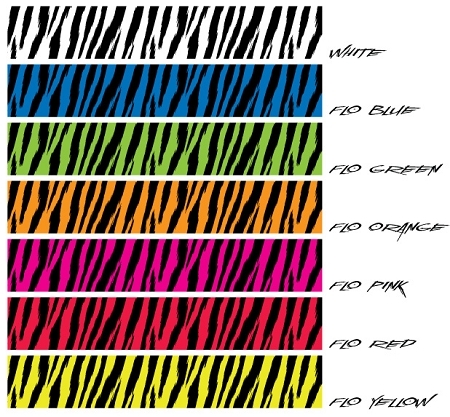 1 dozen fluorescent zebra wraps, your choice of color and size. Color swatches on screen may not be as vibrant as the final product. Wonderful. Made to order, easy to install. Hard to find product at a good price. Awesome product! Even better customer service!!! 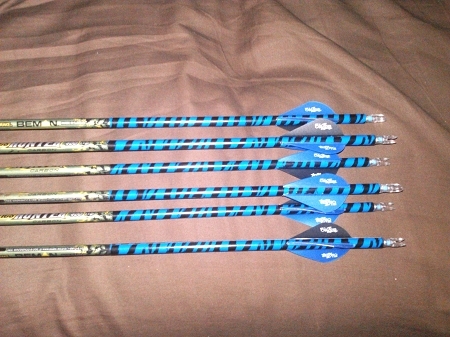 I will definitely buy all my arrow wraps from Backwoods!